glass. 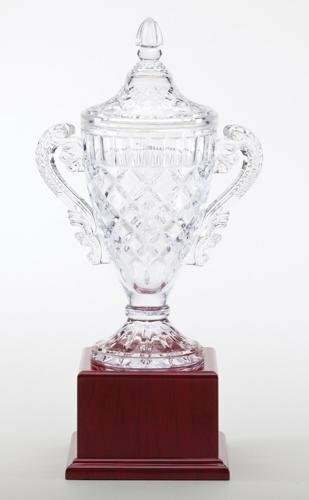 The combination of these two materials truly brings to the table one of the most elegant yet inexpensive presentations for a glass award. 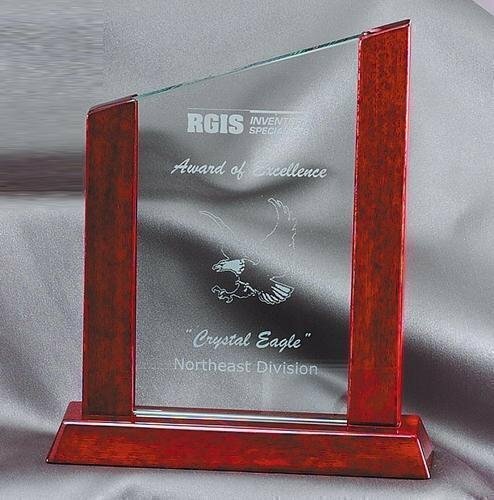 There are several shapes and sizes available for these Rosewood Glass awards. Remember, free engraving provides for a simple buying experience without having to shop around town. The bevelled jade glass of the Arch Rosewood award slides into a piano finished rosewood base. 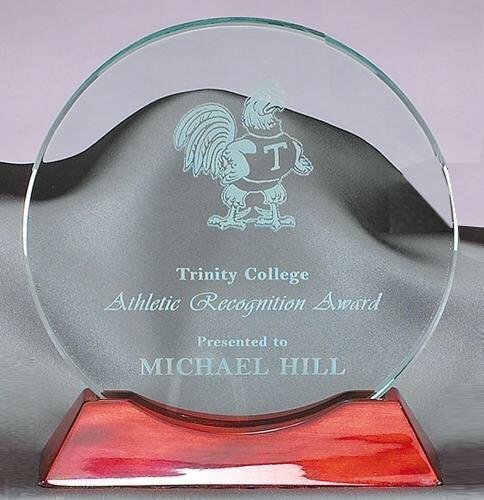 The glass is laser engraved and sandblasted for a beautiful frosted effect. The Diamond Jade Glass sits on a piano finished rosewood base. 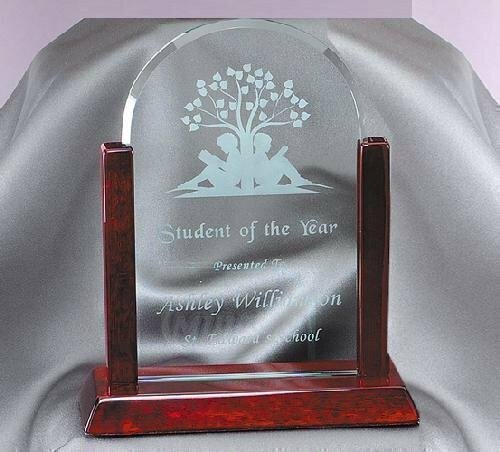 The glass is laser engraved and sandblasted for a beautiful frosted effect. The jade glass of the Peak Rosewood award slides into a piano finished rosewood base. 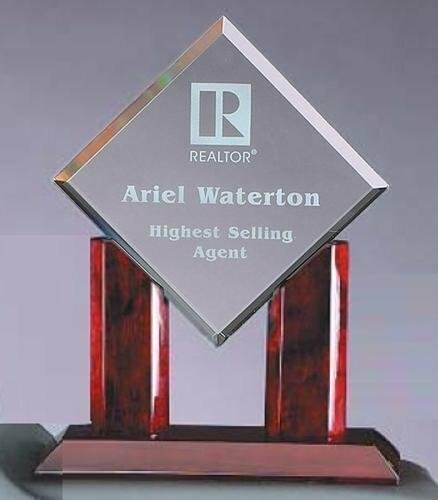 The glass is laser engraved and sandblasted for a beautiful frosted effect. 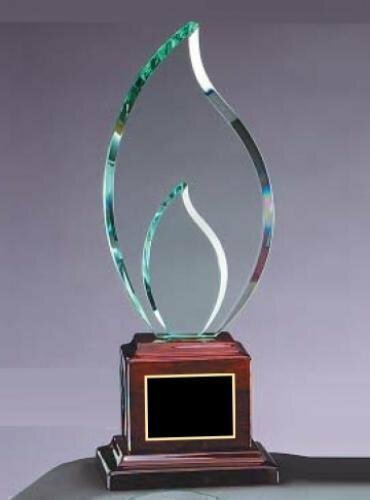 The Round Rosewood award is an elegant award with a 3/4"" thick jade glass on a piano finished rosewood base. The glass is laser engraved and sandblasted for a beautiful frosted effect. 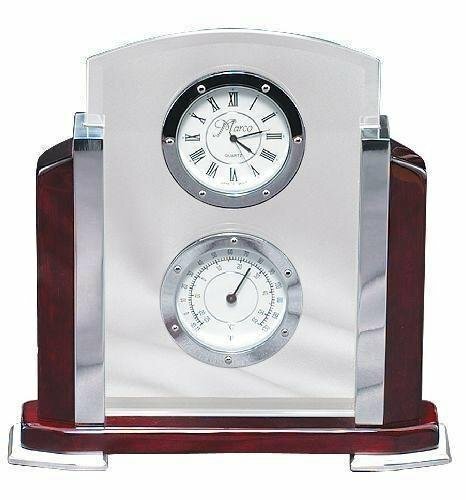 This is an Elegant Glass and Chrome Desk Clock with Thermometer. This personalized gift is individually boxed.